I just had to take a photo of the latest bloom. It rained early yesterday morning and then stopped so I walked over to my friend's house for the sew-in. It rained again after lunch so another friend gave me a ride home (4 blocks). I trimmed my Thangles that I have been sewing and when I got home I auditioned them for this quilt. All of the triangles in the quilt point in one direction so when I started putting up the right side triangles I wasn't sure which way to go. I think I will have to have them going the opposite way on the right side (like the lower section on the right). I may play around a little more with some more border ideas. I had a ham bone in the fridge so I made pea soup last night. I have lots to put in the freezer for instant meals on days I don't want to cook, and there are lots of those. One last photo of my furry friends playing in the snow. It was 50 degrees yesterday along with the rain so the snow is gone, 12" of it melted in 3 days. I hope you all have a prosperous and happy new year!! The pea soup looks good. Great idea to freeze for later. I love the flower photo it refreshing to see color since its so drab brown outside. Happy New Year, Wanda. The temperature at your place sounds warm! It's been well below freezing for days here! Snow is falling right now and it's blustery, too. 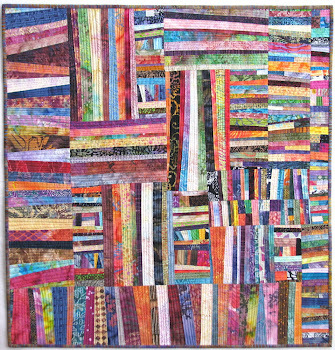 I went back and read all your posts on machine quilting yesterday. I'm all inspired to try some of those wavy lines! the quilt is looking so pretty - what a great job! 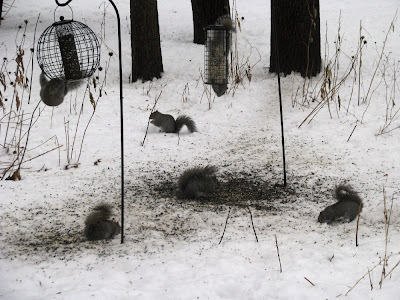 Squirrels - wow they are taking over your bird feeders. Happy New Year Wanda. Yum - pea soup. Fabulous triangles! I like the groups of color in your pointy border. I think it draws more attention to the broder than random scrappiness would. I LOVE, LOVE, LOVE that quilt ... but then I'm a sucker for quilts with triangles! Wishing you and yours a very blessed 2011! What an absolutely beautiful quilt you have going there again Wanda! Happy New Year to you! Happy New Year, Wanda! I didn't pick up on the unique date - DOH! -until I saw it on your blog. I agree with you about the triangle placement, they will make a pretty border. 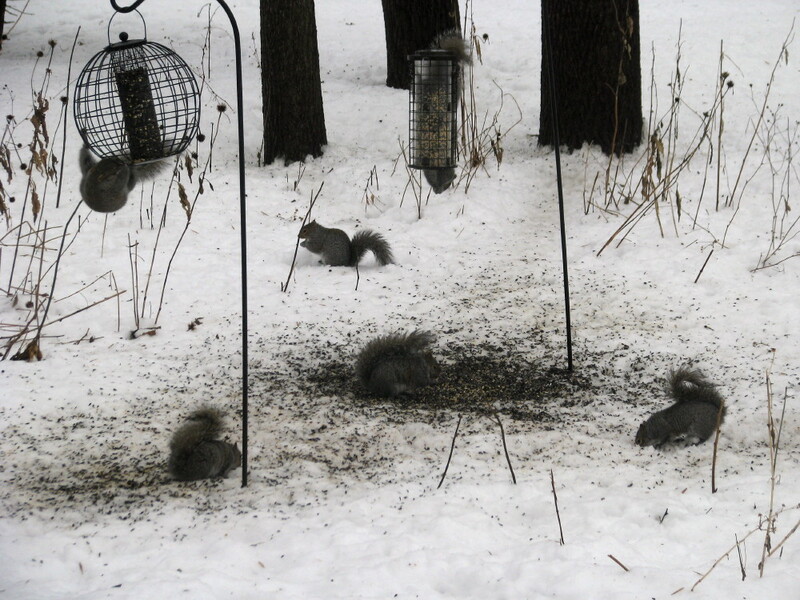 Those little furry rascals in your back yard know how to celebrate a New Year! Happy New Year, Wanda! Fantastic thangles! 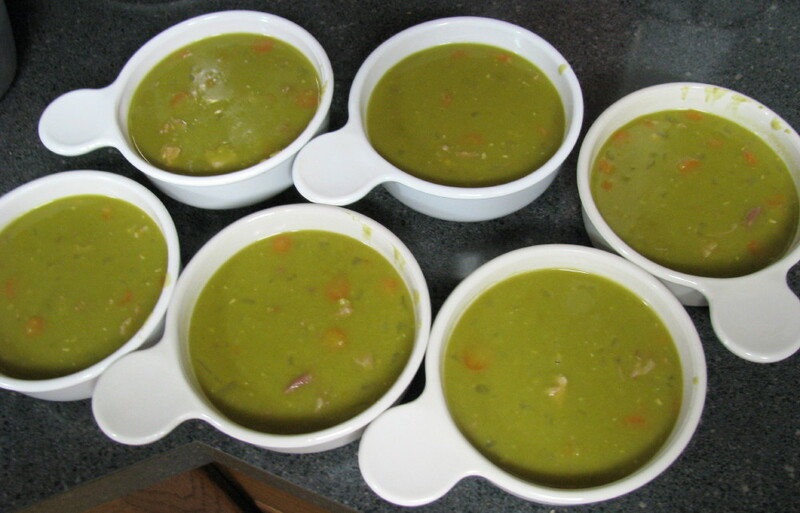 Pea soup - Yum! Cute, but pesky squirrels. Our snow is all gone too and it is raining right now. But that will change when the temperature drops as the day gones on. And a Happy New Year to you too, Wanda! Much joy, good health, and creativity to you and your family. Happy New Year Wanda! 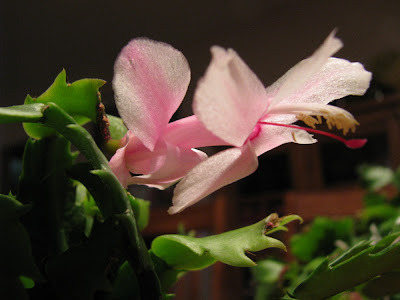 I hope 2011 is very good to you! Wanda, your color choice is just fabulous. I like the squirrels picture. That quilt is coming along scrumptiously! I do so love to see your color/pattern choices. You continue to inspire and amaze me! As to the squirrels - you can keep all of those. LOL But that soup looks good! Happy New Year!!! 9 finishes, that's great. I was trying to count my finishes and there wasn't many. I'm going to hit my list and pull out those closest to finish to energize my new year! All the best to you and your family and Happy New Year! 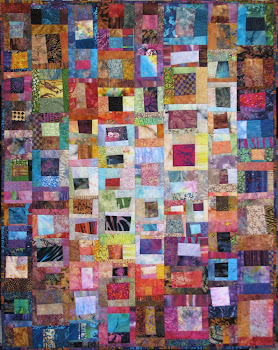 This quilt is absolutely phantastic. Happy New Year, Wanda! i'm wishing for you a year of beautiful colors and shapes to play with! Happy New Year Wanda! 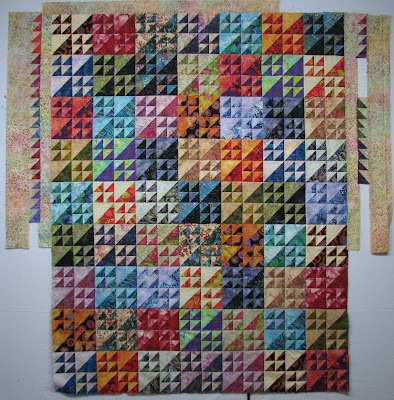 The thangles quilt is looking great, I love the triangles border. Mightn't triangles on the right going the opposite way draw your eye away from the 'wow' factor created by the mass of centre thangles? I love that quilt. It has the most amazing textured look -- almost as though one could press on a triangle and something would happen. Gorgeous! I see squares on point for that border, the same size as the small half-square triangles. Merry Christmas from a long-time daily reader.